Challenged by fluctuating oil prices and stricken with poverty, Ethiopia is searching for a way to boost the nation’s economical situation and perk up the country’s poor living conditions. Some Ethiopian leaders believe that the solution lies in renewable fuels. Statistics show that Ethiopia spends Birr 10 billion ($800 million U.S. at the current exchange rate) to import petroleum a year. This astounding figure represents nearly 90 percent of the earnings that the country makes each year in foreign trade. By cutting its dependency on foreign oil, Ethiopia could perhaps keep some of the money inside the country and prosper. 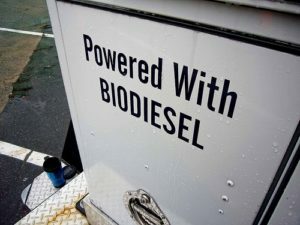 In an effort to reduce this crude dependency, the Ethiopian government and its many developmental partners have begun planting crops for use in biodiesel production. Due to Ethiopia’s arid conditions, growers have turned to non-traditional biodiesel plants like castor seeds and jatropha curcas and have found that there are more than 25 million hectares of land in Ethiopia that are suitable for these two types of biodiesel crops. If the land is fully exploited, Ethiopia could become the largest biodiesel producer in the world, cranking out 20 million liters of biofuel per year. That will undoubted bring its own share of problems, but that’s a problem for another time.